Please note that the content of this book primarily consists of articles available from Wikipedia or other free sources online. 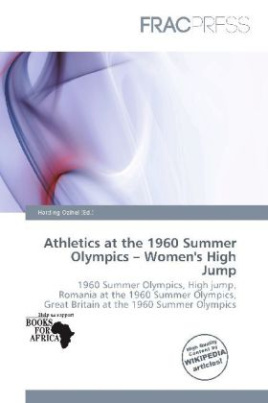 The women's high jump field event at the 1960 Olympic Games took place on September 8. The 1960 Summer Olympics, officially known as the Games of the XVII Olympiad, was an international multi-sport event held from August 25 to September 11, 1960 in Rome, Italy. Rome had been awarded the organization of the 1908 Summer Olympics, but after the 1906 eruption of Mount Vesuvius, was forced to decline and pass the honors to London.